We’ve come a long way with our new release Icinga 2 v2.5. After the 2.4 release in November we’ve focussed on fixing many of the remaining bugs. 2.5 isn’t just a feature release – it includes all the bugfixes from the past months. Don’t want to be notified during the holidays? Add an on-call exclusion for a specific time period? We’re really happy that Philipp Dallig contributed the long awaited time period exclusion and inclusion feature to Icinga 2. You’ll also find updated examples for specific time ranges in the documentation. The IDO database feature now supports an incremental config dump. Future restarts only update what really changed instead of a full config dump. This tremendously decreases the database reconnect time on restart making it 10 times (!) faster than before. We’ve tested this with large scale customer environments (Example with 60k services, 2000 clients, 60k dependencies running in an HA cluster). [2016-08-17 13:06:03 +0200] information/IdoMysqlConnection: Finished reconnecting to MySQL IDO database in 320.08 second(s). [2016-08-17 14:31:17 +0200] information/IdoMysqlConnection: Finished reconnecting to MySQL IDO database in 29.4937 second(s). There are two new endpoints added which allow you to fetch global variables (/v1/variables) as well as defined template names (/v1/templates). Notification state and type filters can now be specified as string values (e.g. “OK”). There’s also a new API action /v1/actions/generate-ticket which allows you to fetch the ticket required for client setups with CSR auto-signing. That way your automated setups will work like a breeze – make sure to check the updated documentation bits too. We’ve fixed a bug where one faulty client would cause other clients to disconnect. 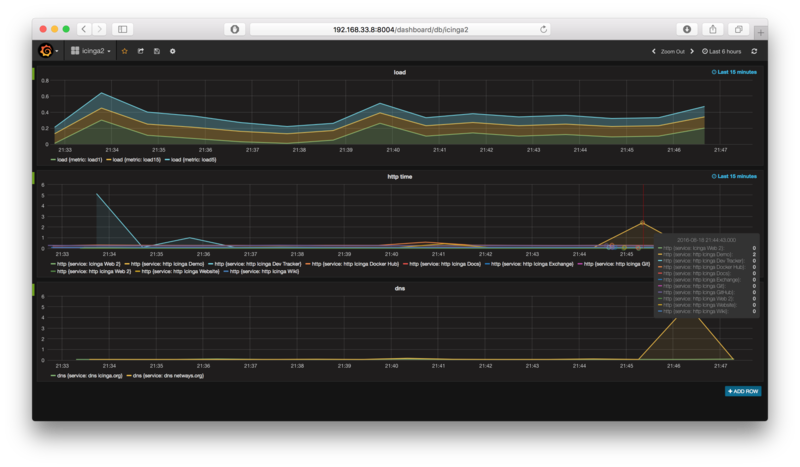 While analysing cluster stability issues we’ve also added more detailed log messages. There is a known issue with messages routing for zones with more than two endpoints – we recommend to only have two endpoints in a zone for now. Uwe Ebel contributed the API/Cluster configuration attributes for the accept cipher list as well as the minimum TLS version – thanks a lot! We weren’t happy with the documentation chapters explaining how the cluster works and how the Icinga 2 client has to be installed. It was complicated and our community channels were literally flooded with questions. We’ve taken the hard road and purged away the old content. 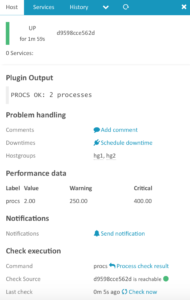 Service Monitoring – a good starting point for plugin integration and more examples based on the numerous CheckCommand definitions (thanks everyone for contributing!). Distributed Monitoring with Master, Satellites and Clients – from roles to zones to setup to configuration modes (“top down” and “bottom up”) to scenarios. All done with real-world examples and newly added images helping you getting your distributed environment going. Debian and RHEL packages for vim/nano syntax highlighting. DateTime type for formatting timestamps in the configuration DSL. 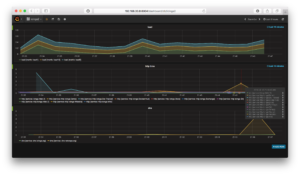 Performance improvements for config validation. Many bugfixes for check execution, notifications, downtimes, etc. When upgrading your distributed environment ensure to upgrade your master and satellite instances to v2.5 first. Clients using v2.4.x may still work, but should be upgraded as well. An IDO database schema update is required (2.5.0.sql). The categories attribute requires the array notation (deprecation warning is logged). The icinga2.conf file includes plugins-contrib, manubulon, nscp, windows-plugin by default on new installations. This helps deploying checks even more easy but may collide with your own CheckCommands synced in global zones. Prior to upgrading your production environment you should test the new release in your staging environment as always. Make sure to read the full Changelog. Note: There was a release critical bug in 2.5.0 so we decided to go for a fixed 2.5.1 release. Note, 2nd: The notification bug was not fully fixed. Go for 2.5.3 including this fix and one for group members in DB IDO. Updated packages are available soon. all the packages are build immediately. The current minor release (2.5.3) is ready for download. There are only the 2.5.3 Snapshot Packages in the Ubuntu Repository. The Icinga 2 – Bug #11908 is still not fixed in icinga2 2.5.4. This has a huge impact on the usability of WEB GUIs like thruk.